It was young Oxford scholar Gehan Gunatilleke, who in a well-argued piece right after the election first pointed out that the SLPP, the political comeback vehicle of the Rajapaksa’s, did not even secure the unsuccessful 5.2 million votes, Mahinda Rajapaksa polled in 2015, despite a higher number of registered voters and a similar turnout. Hence, the vote was more a mid-term protest vote at the government, than sufficient nostalgia for a Rajapaksa return, otherwise Mahinda needed to better his own loosing performance. What Sri Lanka presently has is the concurrent operation of three mandates, each distinct from each other. President Sirisena has a mandate from the January 8, 2015 Presidential election, Prime Minister Wickramasinghe has a mandate from the August 2015 general election to parliament, in which his party secured the largest number of seats and formed a unity government, which passed its most recent budget, the hallmark of any government by a 2/3rd majority two months ago. 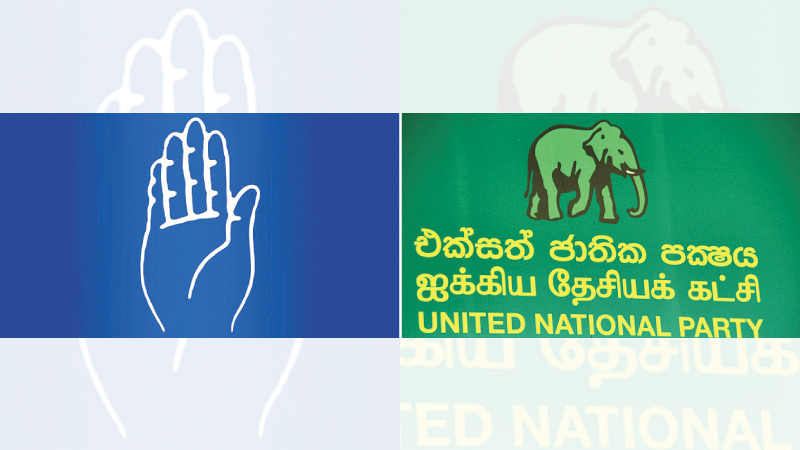 The possible crossover of some SLFP members from the government to the opposition does not detract from the parliamentary election mandate, unless the opposition successfully passes a motion of no confidence in parliament. What the SLPP has is a mandate in a majority of the local government institutions, it should roll up its sleeves and fulfil its responsibilities, not play politics. It has been surprisingly (or perhaps unsurprisingly) the TNA as the third largest party and the official opposition in Parliament which has captured the moral high ground and has argued on principal, for the continuation of the good governance reform mandates of 2015, mandates which were backed fully by their constituencies in the North and East and indeed convincingly in the rest of the country. Now JO theoreticians and indeed Mahinda Rajapaksa have articulated that the minority voice does not count and their now clearly dominant faction of the SLFP reflects the wishes of the majority ethno-religious community. But mercifully despite Sri Lanka’s many shortcomings as a pluralist state, we do not constitutionally have second class citizens and everyone’s vote counts equally. The real lesson of both the 2015 elections and the 2018 election would be that the people supported then the good governance reforms platform on which President Sirisena and Prime Minister Wickremesinghe were elected. Hence their disappointment is more likely with the poor implementation of the needed reforms they backed, rather than a lack of support for the reforms. The way forward then is to recommit to and work towards the implementation of the good governance reform programme, the economic, governance and reconciliation reforms Sri Lanka so badly needs. What we don’t require is a return to the past. It has been Prime Minister Wickremesinghe who in a wide-ranging press conference after the LG election results, attributed the government’s poor showing to sub-optimal economic performance. Also mentioned by other leaders including the President during the election campaign has been the government’s inability to bring to book many of the culprits of the previous regime accused of corruption, gross mismanagement and abuse of power. In the best traditions of democracy, the law and order minister who holds direct responsibility for the criminal justice system and investigative agencies has offered to resign and may well be assigned a different portfolio in an impending Cabinet reshuffle. The political reality in Sri Lanka, is that defeated in 2015, the Rajapaksa’s lost the presidency, a parliamentary majority and indeed control of the SLFP. It may well have compensated for the latter by successfully launching the SLPP. Certainly, the Pohottuwa party never seems to be short of money. Wonder where it all comes from? But the numbers in Parliament still stand largely in support of a reconstituted government but continued implementation of the mandates of 2015. The 19th Amendment to the constitution’s non-dissolving feature actually first proposed by the JVP, was created for just a situation such as now. To prevent an exercise of executive political power to overturn a public mandate. Parliament needs to run its term or decide themselves to go for a dissolution. The mandate of 2015 has two components, one is a term of office, five years and the other is the programme of reforms. Both are important and neither has been completed. For the good of Sri Lanka, both must continue.